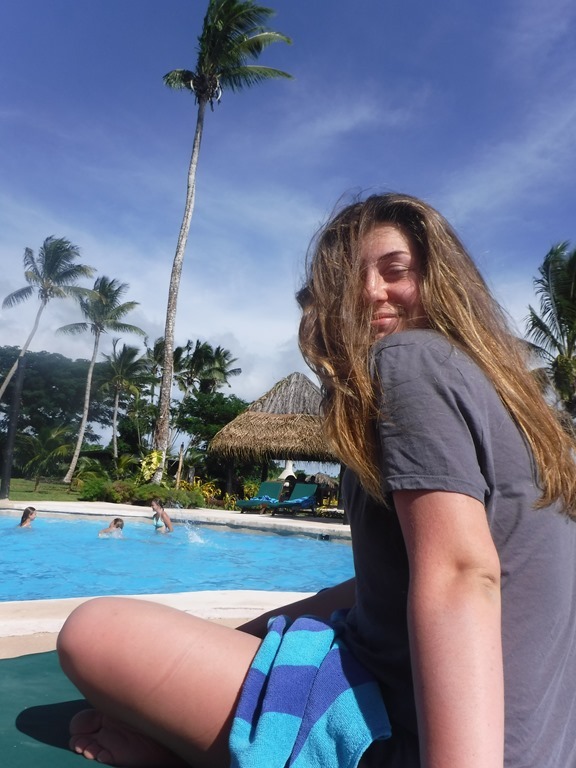 We decided to return to the Paradise Resort at the S end of Taveuni for a day or so of being spoilt before Shena and Kinsley were to head home. After the quiet of The Laus it was nice to be able to sit by the pool, relax with a beer and just do nothing. 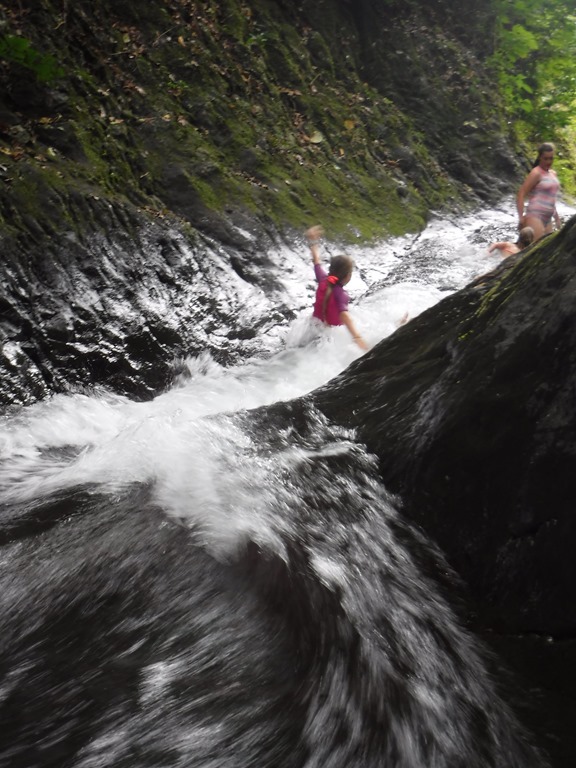 The kids of course were a little more energetic, playing in the pool and cliff jumping. The ladies worked on the tan and enjoyed trying the cocktails. 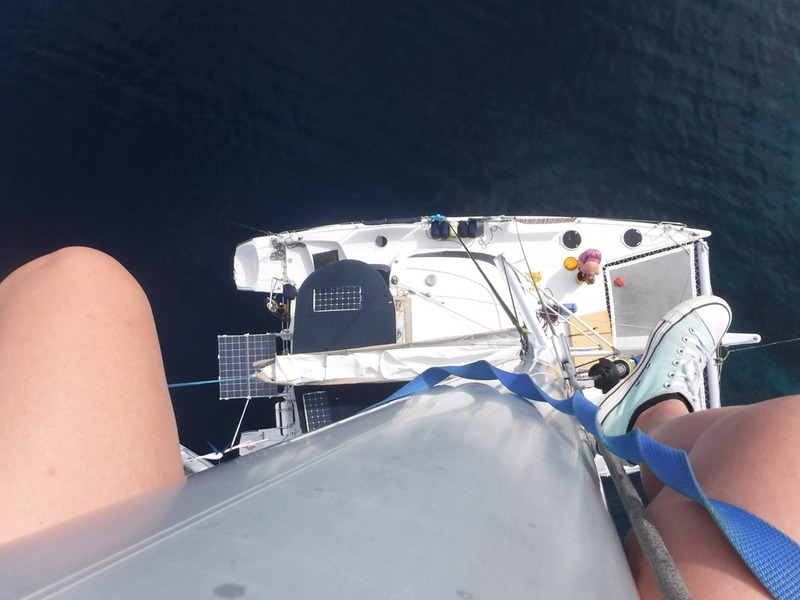 Kinsley asked to go up the mast and I obliged. She took some good photos, even having time for some classy selfies! 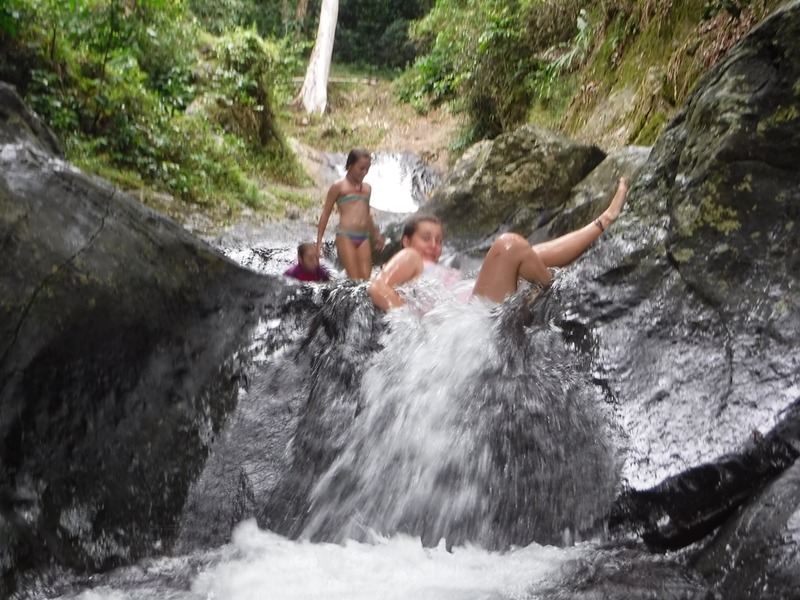 Having asked about getting up to the Waitavala Natural Rock Waterslide, close to Somosomo, a famous attraction of the island, we were dissuaded from using the resort transport at $100+ a head for the visit. We were also told that the lack of rain meant they weren’t worth visiting them. I’m glad we decided to ignore the advise! 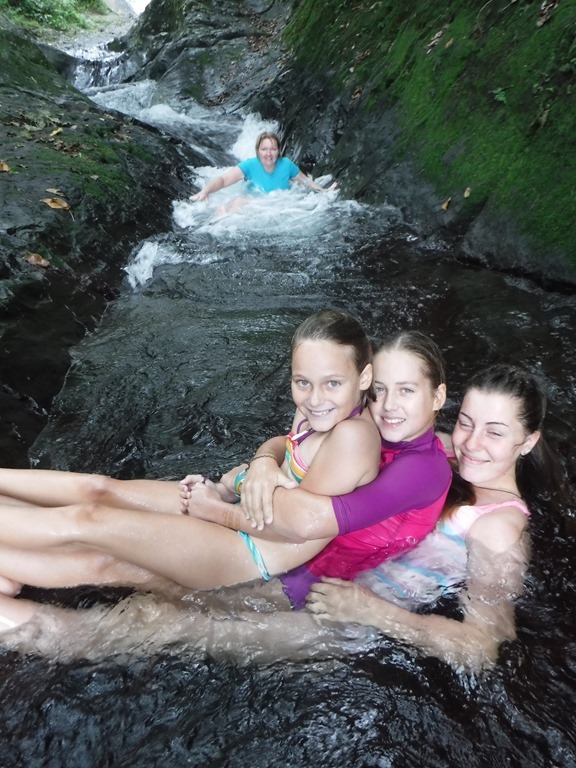 The ladies dinghied ashore and caught a taxi, who for the grand total of $6 took the whole party to the start of the walk up to the naturally formed waterslide. 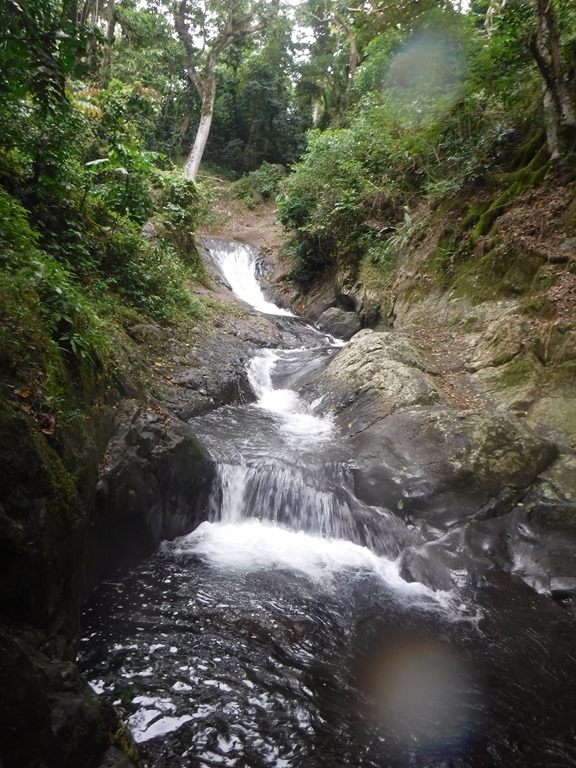 The walk takes you past Fiji’s prison and onward up into the forest. It was great fun. The younger ones fired down with little hassle and no problems. The older generation (whose with hips!) had a few more problems with the bumps and Shena came down with bruises on her unmentionables to remind her of how much fun she had had! 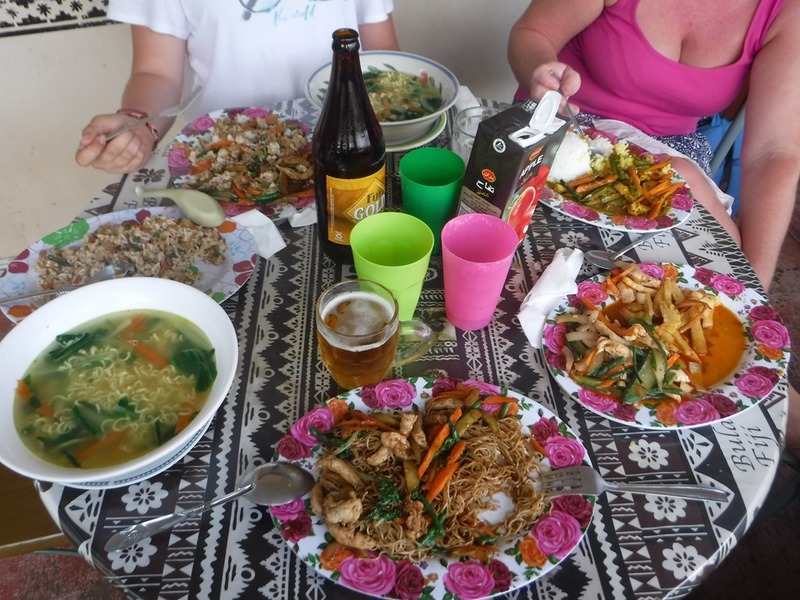 The trip was rounded off back in Somosomo with a great meal. Cheap and with huge portions, the Indian on the balcony (can’t remember its name) gets recommended. To ease Shena and Kinsley’s trip to the airport we moved up to an anchorage at Matei, a couple of km S from where they needed to go and Shena got to see in one last Fijian dawn. We need not have worried about being there two hours before to book in. The airport has a hatch which is the cafe and a desk where you hand your luggage in. Check in was simple and the taxi driver we were with announced that we may as well wait somewhere better than the airport, the airport man said ok and we headed off for a last repast and tomfoolery at a cafe overlooking Matei bay, where we were anchored. We had great fun with Kinsley and Shena and it has been wonderful to be able to catch up with both of them. We like to thank Kinsley in particular for the advise and chats she had with Eleanor. It is wonderful to meet a young teen with no hang ups at all! All we need to do next is work out where we will next meet up. USA or the UK? Both are possible. 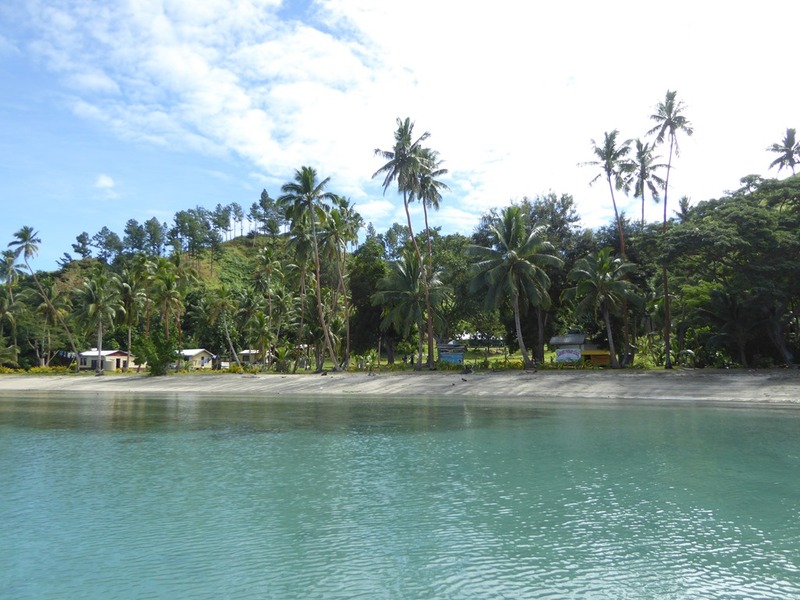 With the boat feeling empty again, we moved down to Viani Bay where I had arranged when we were all the way back in Nuie, for my ScubaPro regulator to be serviced by Fiji Dive Academy, the first time I’d found someone competent in the Pacific to do so. 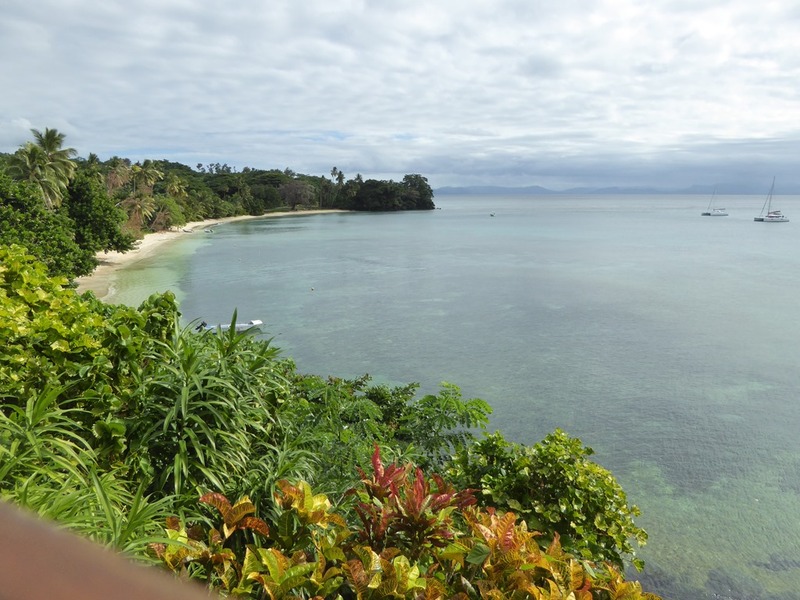 Viani Bay is a safe anchorage, wonderfully protected by Taveuni just to its E which stops the clouds and weather dead. 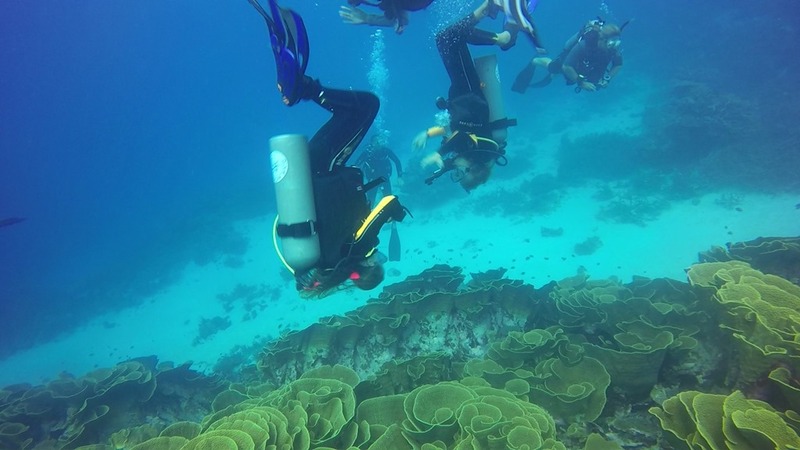 The bay is inside a world famous dive site called Rainbow Reef, particularly known for its soft coral. We met up with our friends Be and Be and Invictus. The anchorage is deep, rarely less than 20m and is covered with bommies. When we came to leave, all three of us had wrapped and each had to do the “dance of the bommies” in an attempt to unwrap. They both got lucky and came free. 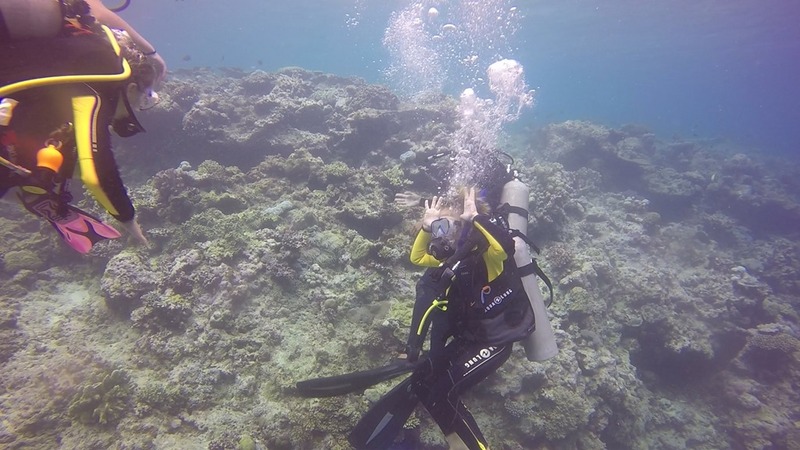 I had to dive to 20m to get the anchor point out from under an old lump of coral. It was completely jammed. If I hadn’t been able to dive and alone, we would have been in a world of hurt. Most of the dives are wall or drift dives as the current in the Somosomo Pass can run up to 4kts, making dive selection times important. However there is a good selection of shallower dives on the inside for learners to practise on too. 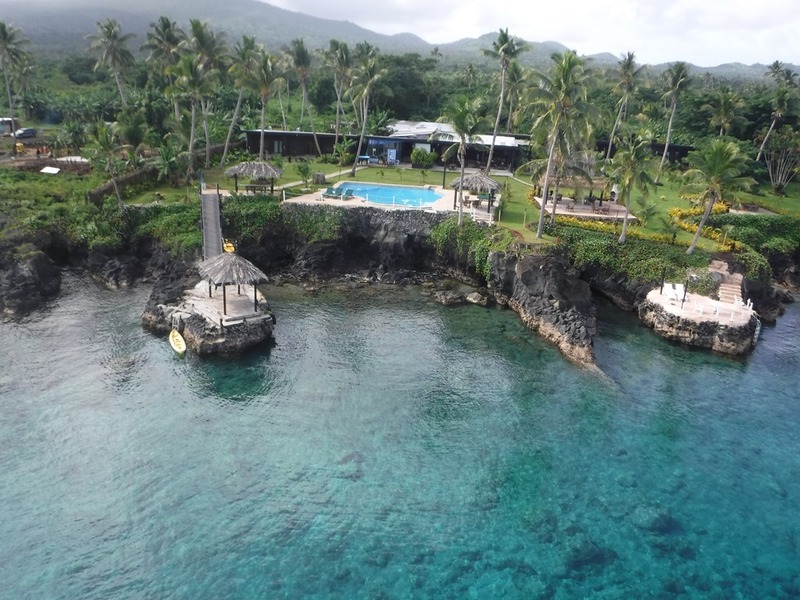 The Fiji Dive Academy is a new venture between partners Marina and Jone. 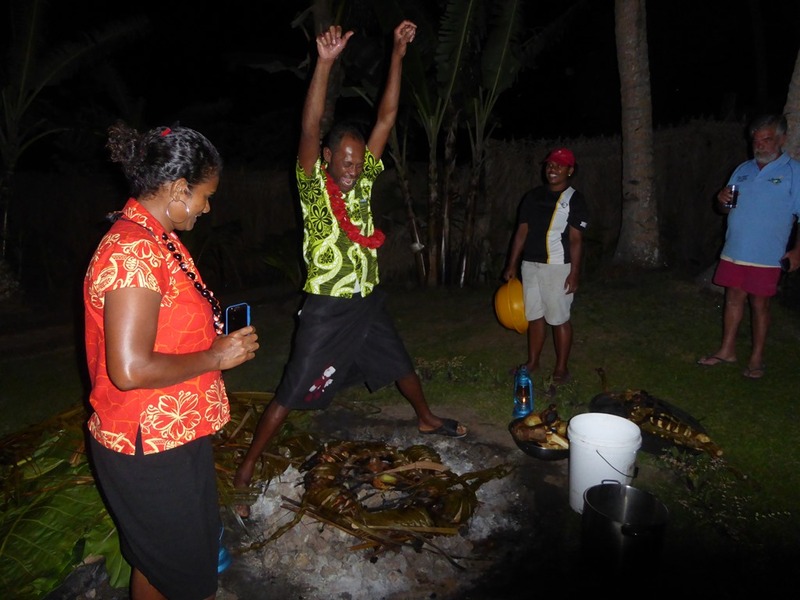 Jone, originally from Taveuni went to Germany to train up as a dive instructor, where he met Marina, at that time a keen diver. 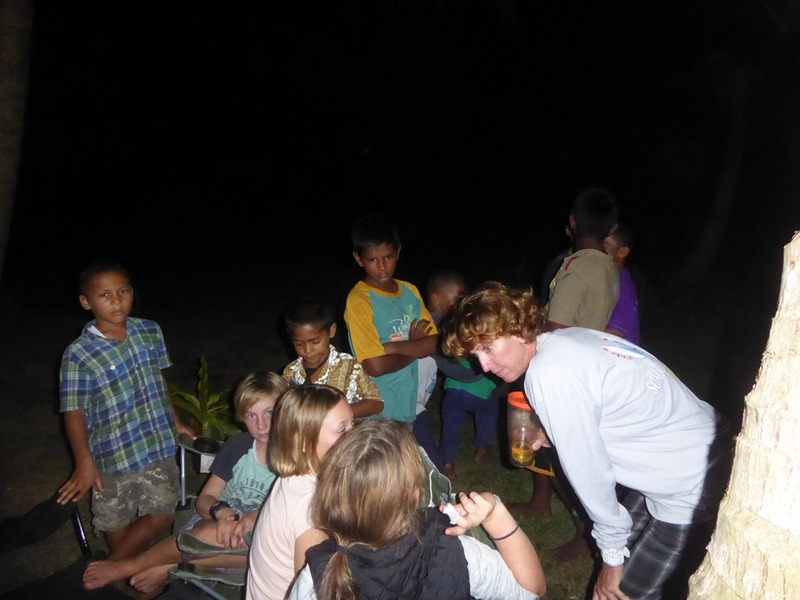 After they got together, they decided to return to Fiji and set up a school with the aim of teaching and training locals. 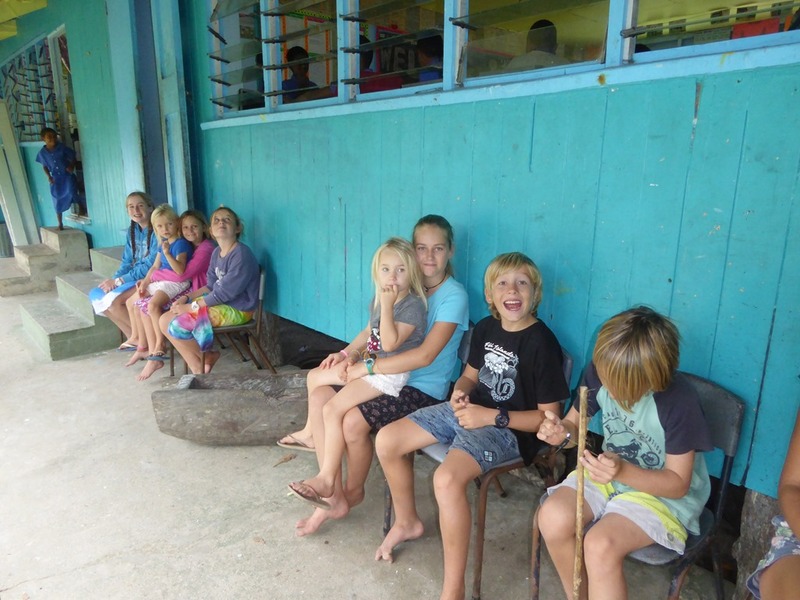 After the normal fight with officialdom they got their commercial license and set up the school in Viani Bay. Now with some basic buildings set up and the shop really taking shape, they are progressing to building living accommodation for divers to stay with them and are slowly clearing the ground, planting grasses to prettify everything. It should look fantastic once it is all finished. 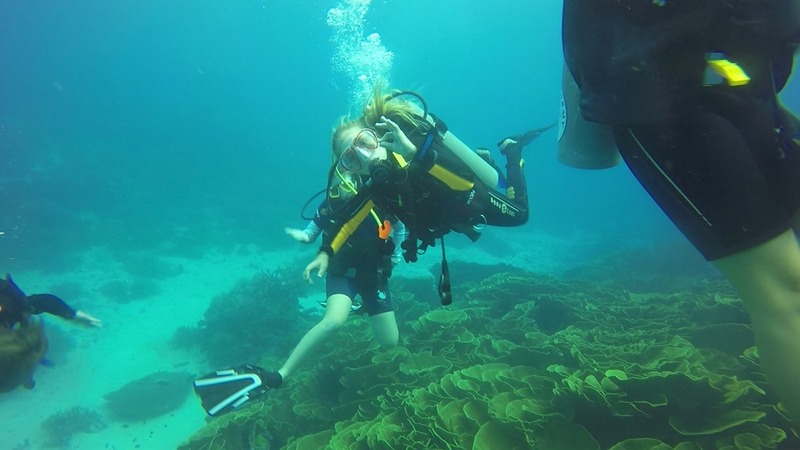 I’d also recommended the Fiji Dive Academy to Be and Be who had at least one budding diver in Shelby on board after her try outs with me in Bora Bora. As it was, by the time they arrived, we found that EVERYONE on board had decided they wanted to give it a go! Jake, still a little young got to do a bubblemaker dive with Marina. He will need to wait a couple of years before he can take his Junior Open Water. Peta did her OW and Shelby, Harry and Evie did their JOW. One of the disadvantages of just being an Open Water (OW) diver is that you are limited to a depth of 18m. 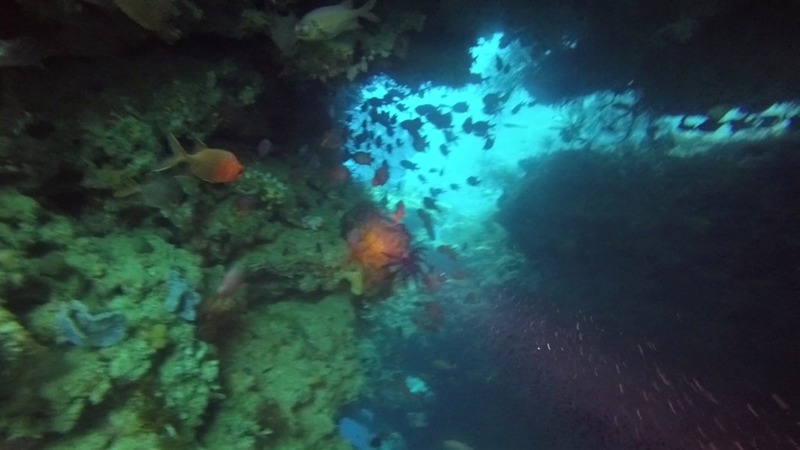 A lot of the better dives are to be found at greater depths, Rainbow Reef included. Fine if you are diving by yourself when you can ignore the PADI rules but you are limited as soon as you dive with a school who need to see your qualification card for insurance purposes. I’d thought about doing the Advanced Open Water (AOW) course done to allow me to get trained properly to do deeper dives. Geoff decided he may as well get in on the act and we both signed up for the course. 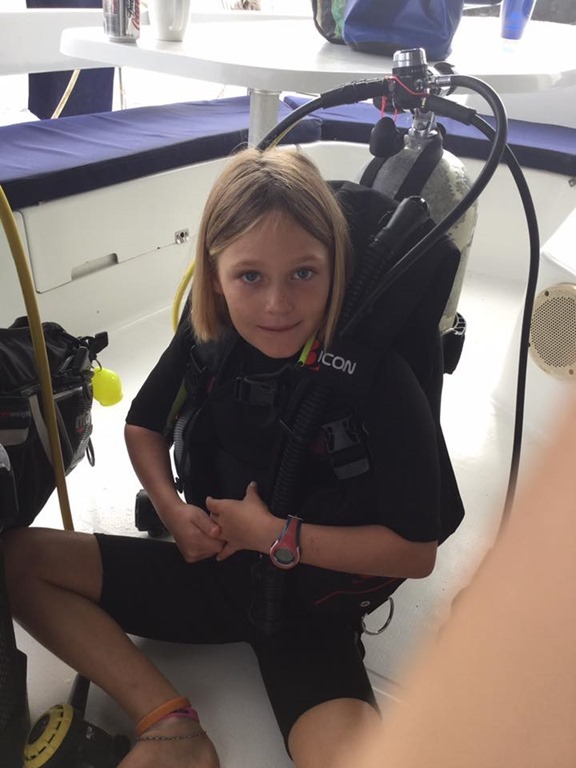 Shelby was allowed to do a zero to hero and join us too but was limited to 21m for her deep dive due to her age. I did think about letting Eleanor do it too but the age limit of 12 snookered us. It will have to wait until she is back in the UK. Geoff and I also decided to get qualified as a deep diver specialist. This lifted our dive permissions from 30 to 40m. 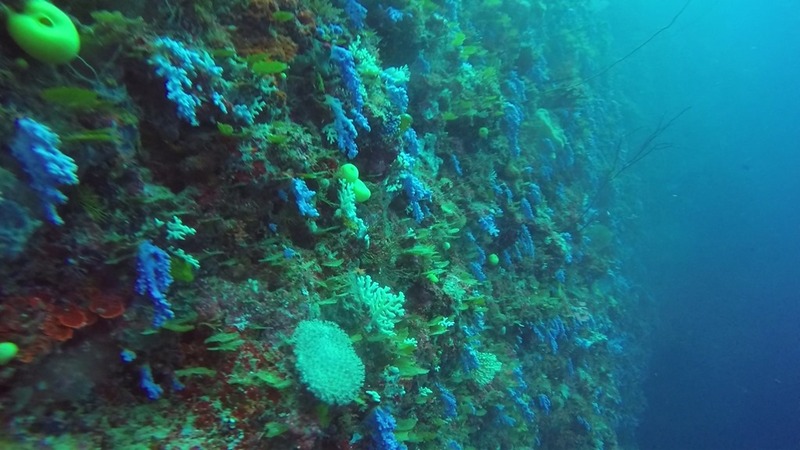 Our qualifying dive to the Great White Wall, one of the best soft coral walls in the world at 35m+ was fantastic. 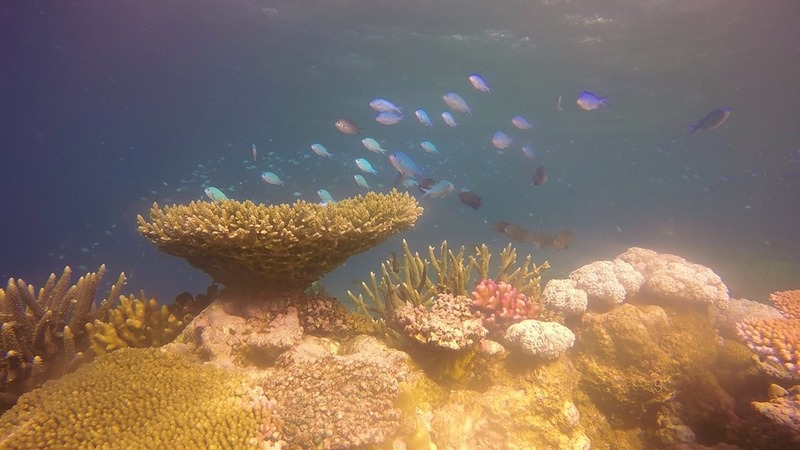 Although severely damaged by Cyclone Winston a couple of years ago, it was great to see the regrowth of healthy white and yellow banks of soft coral. 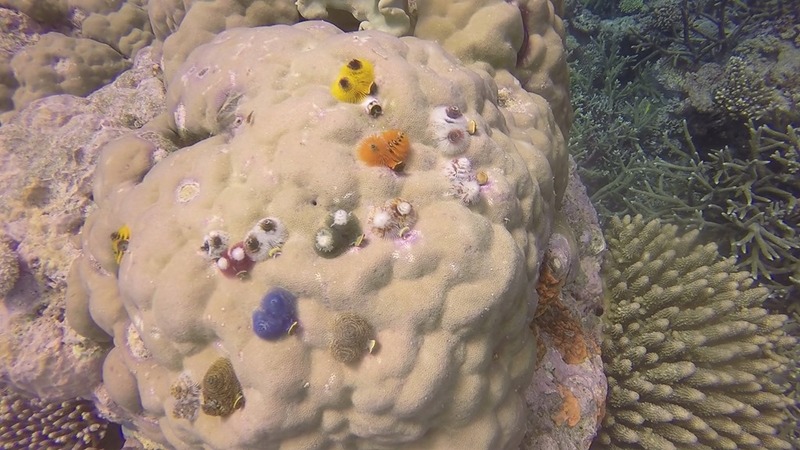 We dived for a week and the Rainbow Reef lived up to its world class reputation. Magnificant. Mixed in with the course were dives with the famous Jack, a retired dive master who will take you to the local dive sites for the princely sum of $20 a diver. Good value if you have your own equipment. 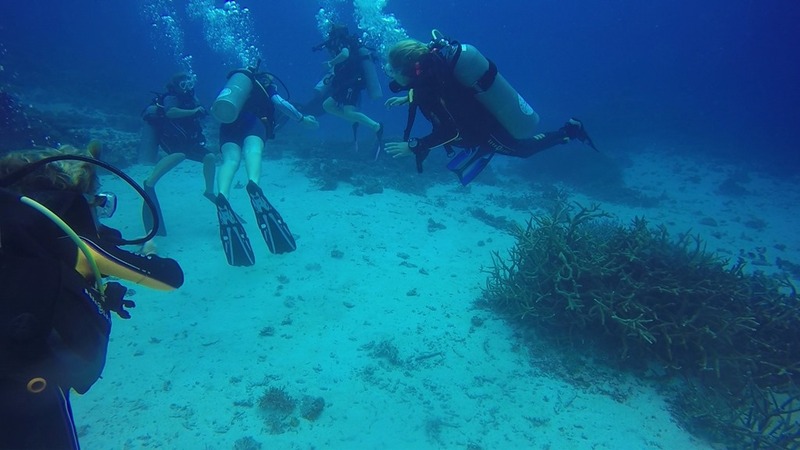 Eleanor and I did a couple of dives with the Be and Be crowd. It was great fun to see all the newly qualified smalls swimming together, all intensely interested in everything around them – some of the time. 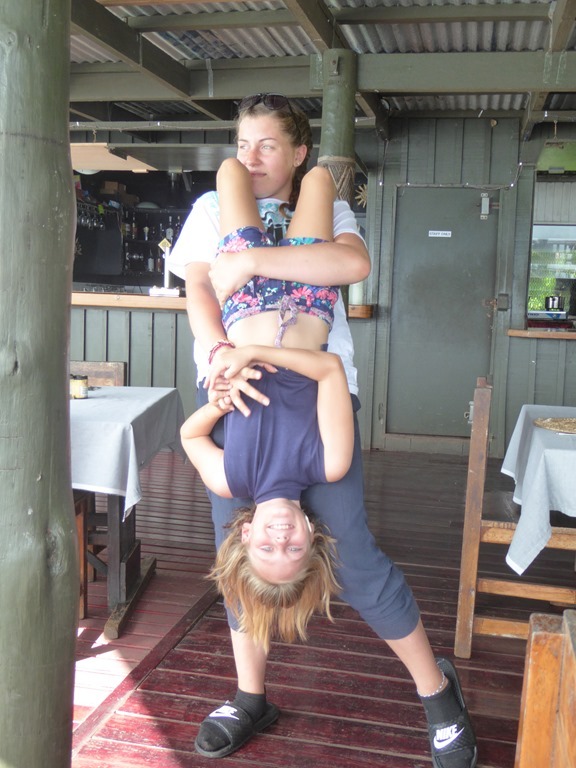 Upside down skills and winding up siblings were practised too. We visited the Cabbage Patch, an amazing coral growth and then the Fish Factory, good but of less interest than the Cabbage Patch. 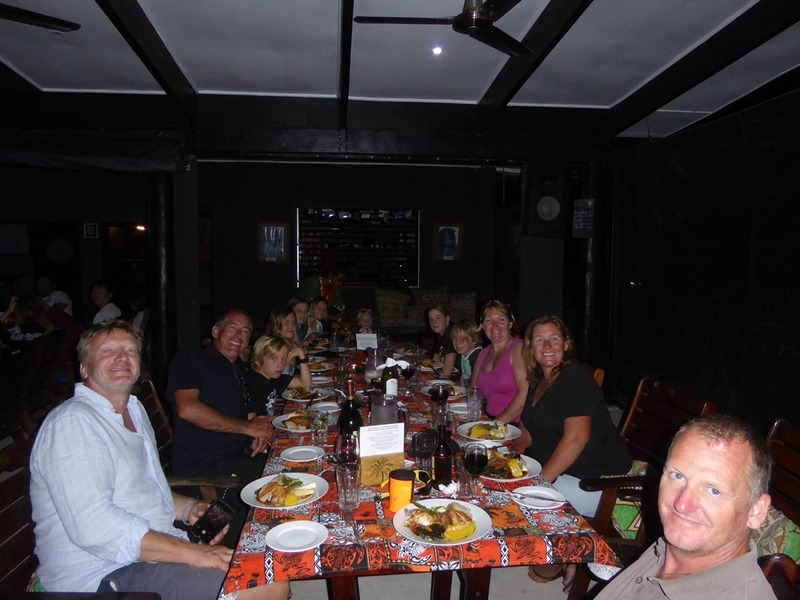 We had an evening at the dive school with all the boaties, divers and lots of locals, together enjoying a great range of food, kava and music with a big fire blazing close by. Marina and Jone have been organising one party a week and it is a nice way for everyone to come together. I hope they continue it as the school develops and builds. It was a good evening. We also had a round of socials on a variety of boats. Swiftsure, Blowing Bubbles and Free Spirit all hosted huge numbers on board. The standard of music was very high with Carl and his ukulele leading the way. He even managed to find time to give the kids a lesson too – very kind. We also tried to keep up on that education thing. 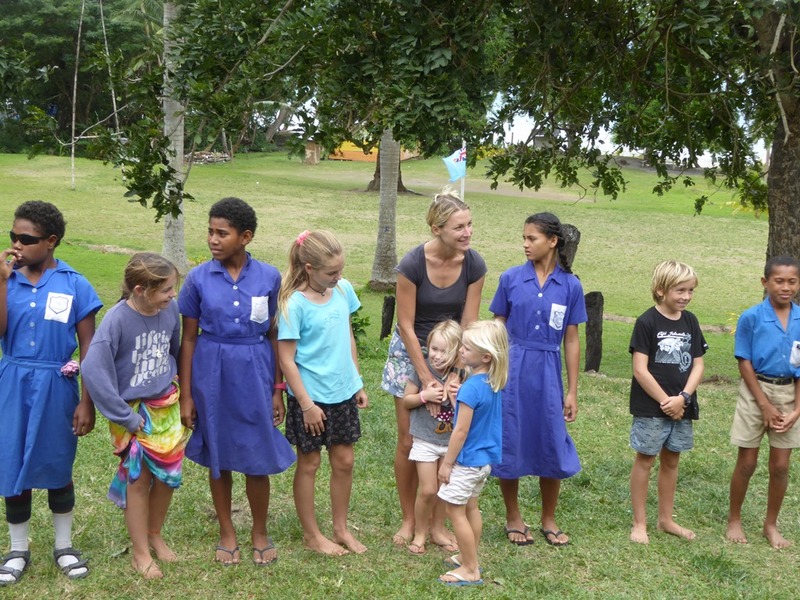 The kids visited the primary school, right next door to the dive school and were welcomed for the day. The school asked for any assistance we could give and we made a small donation to aid them buy equipment. If you were going to the bay, reference books and teaching material would go down well too. Harry made a name for himself by being his normal, hugely enthusiastic self and his dancing skills! Although I could have happily mortgaged my soul to be able to continue diving with Marina and Jone, we had to move on. 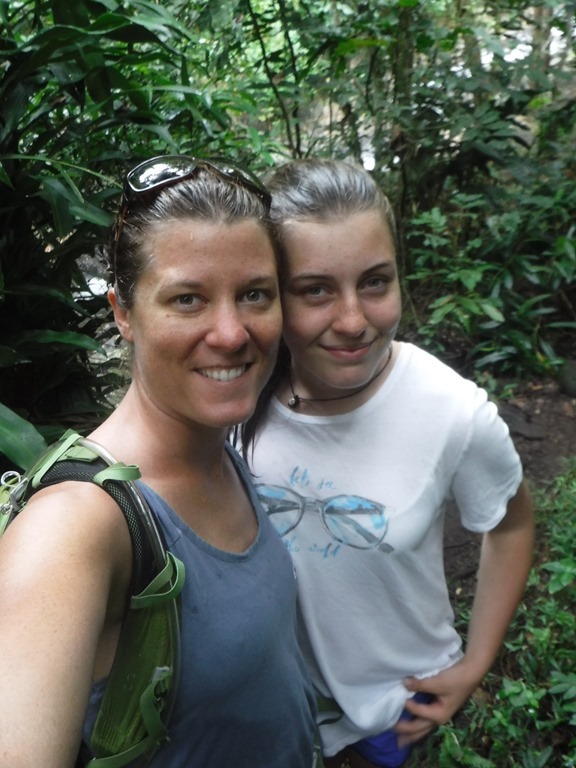 With Morag and Alice coming in a little over a weeks time, we needed to start moving towards Nadi on the W side of the main island, Viti Levu. 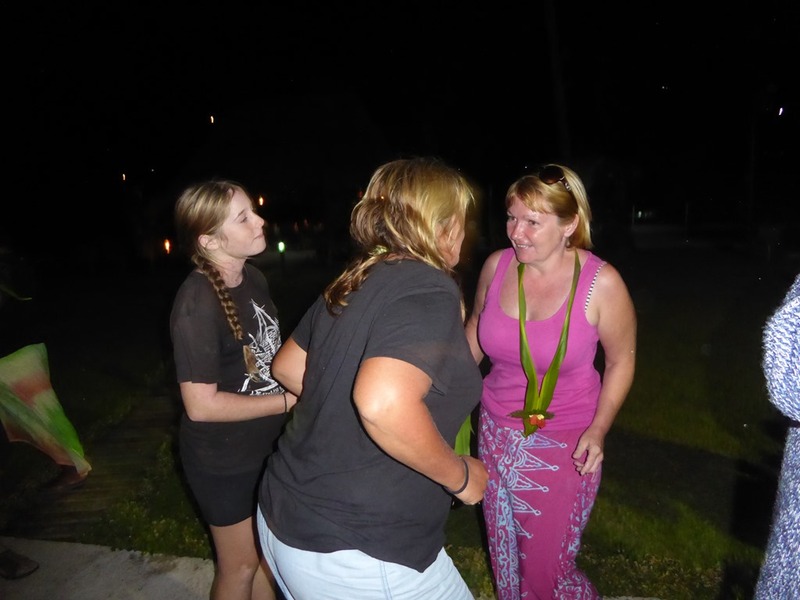 We said our goodbyes to Marina and Jone and moved with Be and Be and Invictus to Paradise Resort for one last night of fun there. 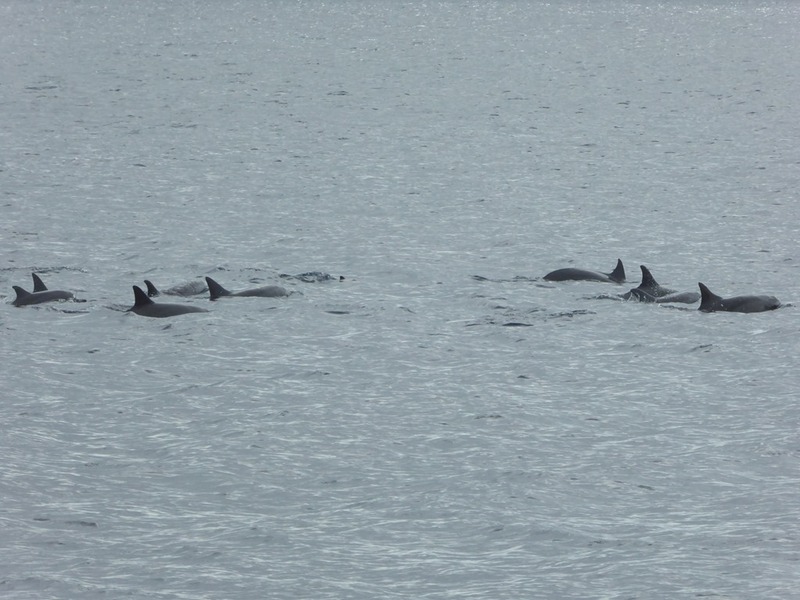 We arrived to find dolphin in the anchorage and the news that two humpback had been through the anchorage the night before. 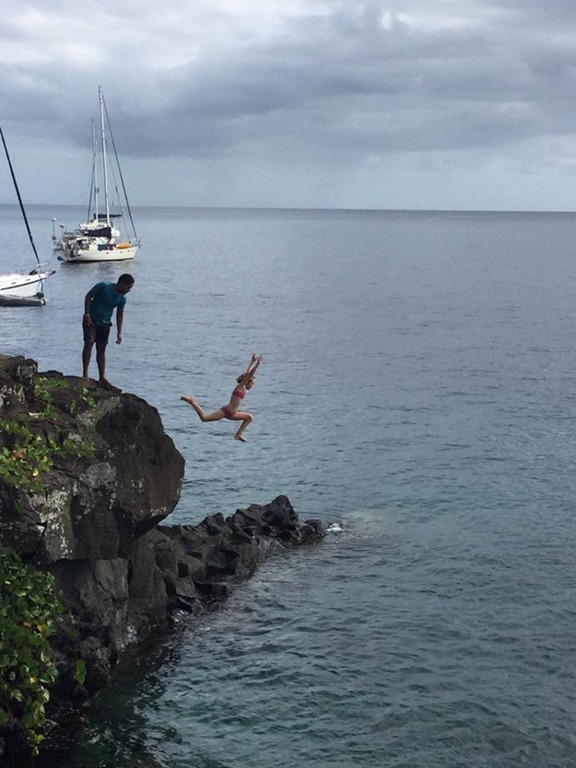 Hannah and I jumped in for her very first dive. Her enthusiasm to get in was admirable. Once she had worked out how to clear her ears effectively, she had great fun. We sat at around 6m and watched the sea life go by. She came up with a big smile on her face and we have another one set to do her JOW before we return to the UK. We timed it well. 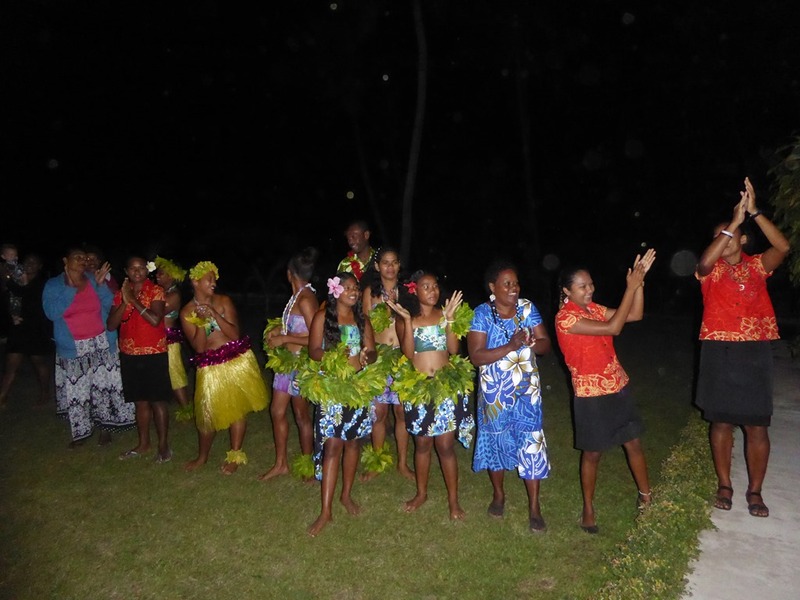 The resort does a Fijian night once a week and we had arrived just in time to join in. 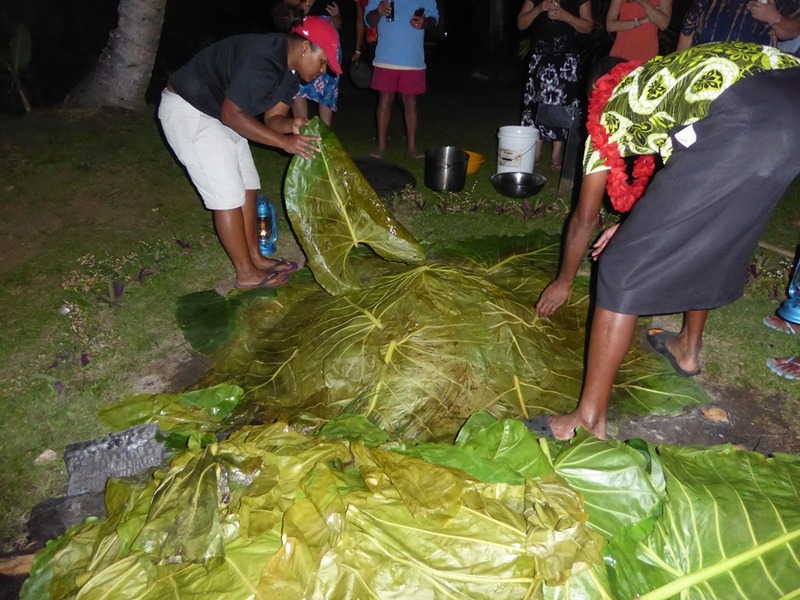 The food is prepared traditionally in a earth oven and is fantastic. The whole affair is made a spectacle. The locals put on a dance show with most of the dancers being the kids of the staff which leads to lots of staff participation. I got the feeling that they were enjoying it at least as much as the “guests”! 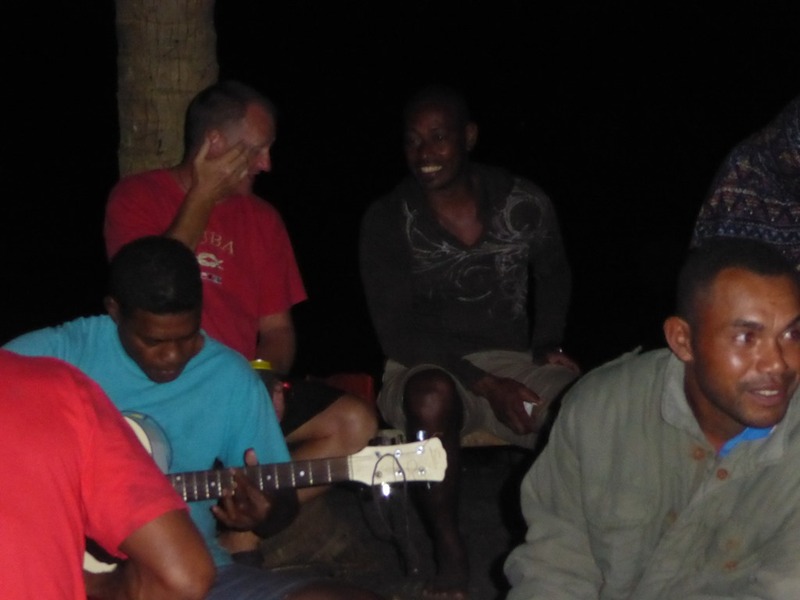 To finish us off, we were invited to drink kava with the team. I rather think I overindulged, partly because I was asked to take the Chief’s position which meant that I got to call the start of the next round (a graceful nod in my direction and instruction on the words of command). Whilst most people got a half cup, I seemed to get loaded up. The beer chasers probably didn’t help either…….. Peta and I were amongst the last to leave and I’m afraid we carried on the motion until the small hours on Skylark. A great, fun night even if we did suffer for it the next morning. 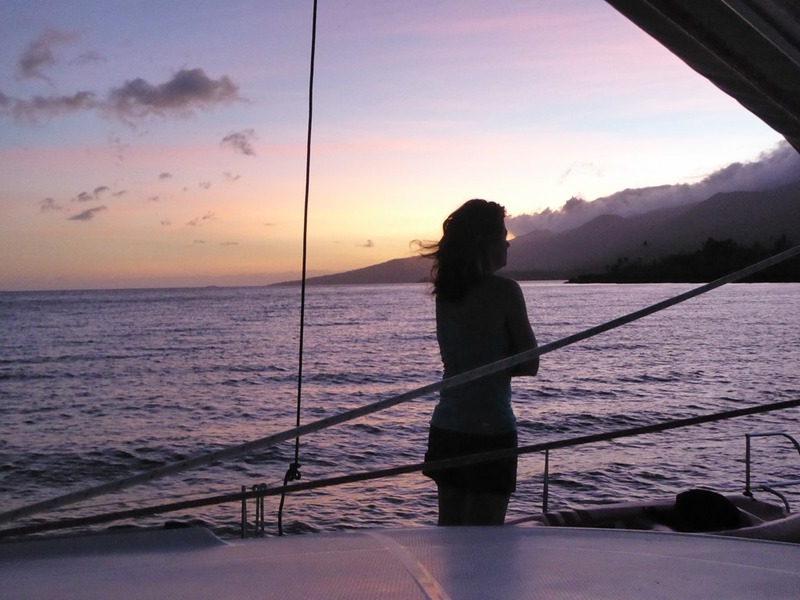 We headed off planning to make the pass through the reef at before last light and then sail down to Nadi overnight. 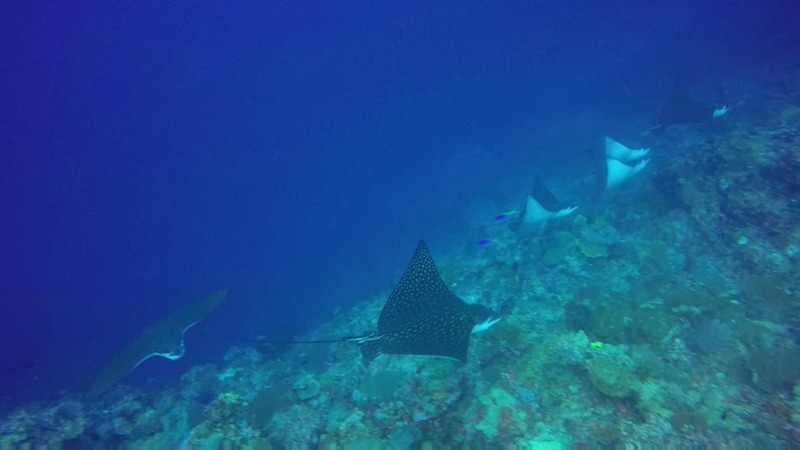 As soon as we cleared the shelter on the S tip of Taveuni, I knew we were in trouble. 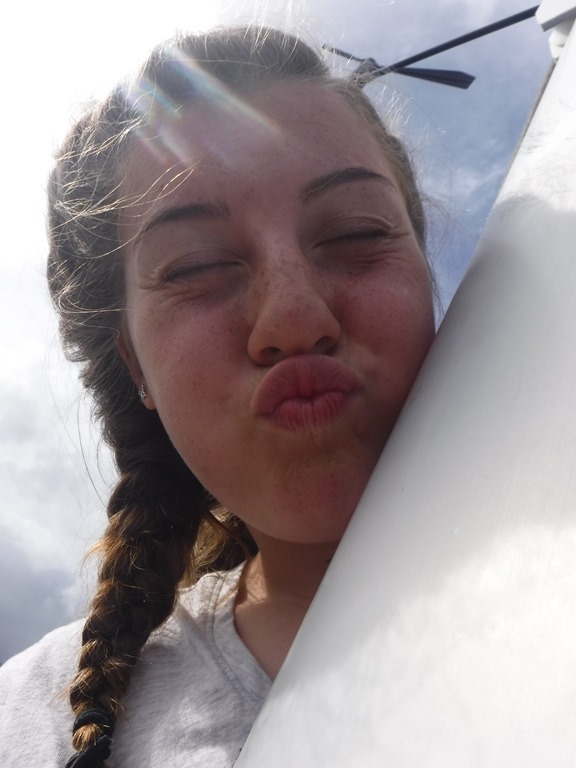 The wind grew to 25+kts and we were getting side swiped by a southerly swell. It would have been an interesting sail if we had had the main working but under genoa alone, it was just painful trying not to get knocked off course. As the wind went past 30kts, I decided discretion is the better part of valour and we aborted the run W to put into the anchorage at the Jacque Cousteau resort for a sheltered night of sleep. The next morning after having a quick visit from Ding, we stuck our nose out again but the wind had not eased and the seas had grown. 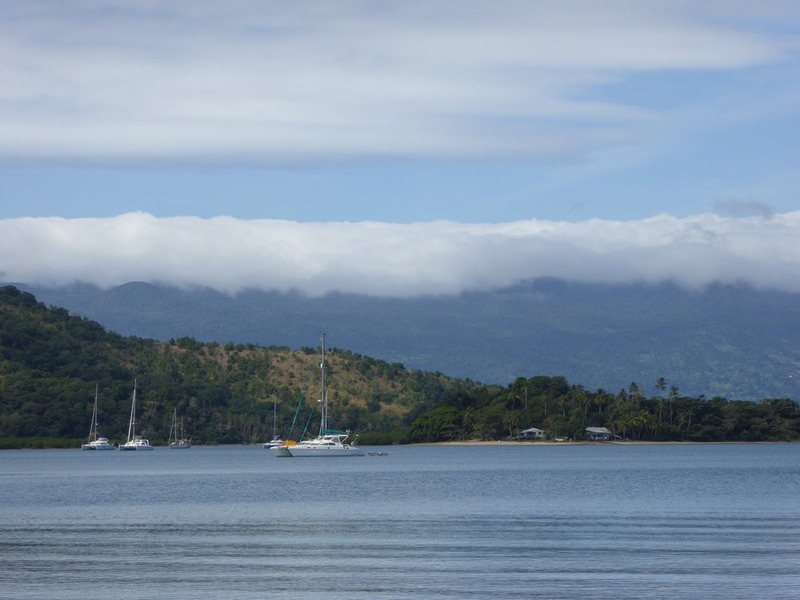 After one of the shortest discussions Lou and I have had in passage selection and for once in total agreement (S- “this is crap”, L – “yes, really crap”) we turned tail again and headed back into the shelter of Savusavu. It meant that we needed to reorganise Morag’s flights to move her up to us but better that than have to waste the few days we would have to wait until the weather abated enough for a safe passage.